Tenant FAQ - McCreary Realty Management, Inc.
After making application, how long does it take to find out if I am approved? Our application process takes approximately 24-48 hours for approval or denial. Am I responsible for lawn care? Whether or not you are responsible for lawn care depends on the property you are renting. If you are a current tenant, please see page 3 of your lease in the section just above paragraph 24 to find out if you are responsible for lawn care. If you are an applicant, please contact the office to find out if you are responsible for lawn maintenance at the property you are applying for. Can I paint the interior of the home I rent? No tenant may paint or wallpaper any part of the property without prior written consent of management. Can I pay my rent in person? Yes! Our office hours are Monday – Friday 9:00AM – 5:30PM. We also have a convenient after-hours drop box in our front door if you stop by when we are closed. Do I have to be there for my move out walk through? We do not schedule move out walk through appointments. We will perform the move out walk through within 3 business days of receiving possession of the property from you. 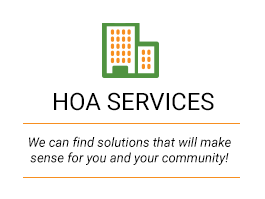 We will contact you via email with our findings and mail you hard copies of the move out findings and security deposit transmittal to the forwarding address you provide. Do I have to put a holding fee down on the home until I find out if I’m approved? We only require an application fee of $50 per adult. Upon approval, we will require the Good Faith Deposit to hold the property for a maximum of 2 weeks. How am I expected to leave the home? Upon move out, you are expected to return the home basically the same way you received it. We expect to see that no damage has been done to property or its contents, except normal wear and tear, that the property is fully cleaned with all trash, debris and personal items removed, and that the yard has been freshly maintained if required in your lease. For your convenience, we have our Vacating Checklist, which you can print here. Please call our office at 770-427-5711 for viewing instructions. How do I find out about a home I found online? You may view the property description and photos on our Available Rentals at www.McCrearyRealty.com or call our office at 770-427-5711 for more information about our available properties. How do I find out the color if I need to paint? Typically, we do not keep that information on file. However, please keep in mind that no tenant may paint or wallpaper any part of the property without prior written consent of management. If you have further questions, please contact our office at 770-427-5711 or email at Leasing@McCrearyRealty.com. How do I handle my move-out? Please insure that you have turned in your 30-day paid written notice to vacate on Management’s form provided you at lease signing. If you cannot find this form, one can be picked up in our office or found on the website at www.McCrearyRealty.com. You have possession of the property through 11:59PM on the date you are vacating. All keys, remotes, access cards, gate openers, etc. must be returned to Management by 9:00AM the following day. If you have to put the keys, etc. in the drop box, please put them in a bag or envelope labeled with what property they belong to. In order to return possession of the unit, ALL keys to the house must be brought to Management's office and turned in. The keys represent possession of the property. DO NOT LEAVE ANY KEYS OR GARAGE DOOR REMOTES AT THE PROPERTY. If you do not return ALL keys and remotes to the office, you will be charged at the daily rate for each day they are not returned. All utilities must remain on until the final day of your lease. If vacating in the winter, please set the thermostat(s) no lower than 60 degrees with the heat on “Auto” to prevent freezing pipes. If vacating in the summer, please set the thermostat(s) no higher than 80 degrees with the A/C on “Auto” to prevent moisture build-up. If you owe any balance, those amounts must be satisfied prior to vacating the unit. We have a cleaning list as a part of our Vacating Checklist to be used as a guide for cleaning your rental house when you vacate. We would like to point out that you will not be charged for "ordinary wear and tear.” We DO NOT consider dirt in any form as "ordinary wear and tear”. If you need assistance with any cleaning, we have a list of professionals that we can refer to you. How much notice do I need to give that I am vacating the home? We require a 30-day paid written notice to vacate on Management’s form provided to you at lease signing. If you cannot find this form, one can be picked up in our office or found on the website at www.McCrearyRealty.com. How much of a security deposit do you require on your homes? Each home is different when it comes to security deposit. Please call the office to find out what the required deposit is for the property you are applying for. Please keep in mind that an additional deposit may be required based after processing your application. I have an emergency maintenance problem. How do I get in touch with someone? Please call our office at 770-427-5711. If it is after hours, our voicemail system will answer and you will choose option 3 to leave a message. This will be forwarded to one of our staff who will be in contact with you upon receiving the voicemail. After you have called the office to notify us of the emergency, please also go to our website at www.McCrearyRealty.com to fill out the online maintenance request. This will provide us a detail of the issue in writing for your file as all maintenance requests MUST be submitted in writing, including emergencies. I have credit issues and want to apply to see if I can be approved before looking at a specific home. Do I have to have a home in mind to apply? We will only process an application for a specific home. 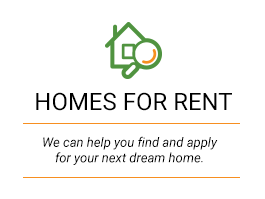 Our applications are first come, first serve so we would need to know which property you would like to apply for before processing your application. I have credit issues. Can I still qualify as a renter? I just received my move out report. And I need to pay money that is owed. What do I do? You may send in your payment or bring your payment into our office for the total amount due. If you cannot pay the entire amount due at one time, please contact Michael McCreary via email at Michael@McCrearyRealty.com to discuss your options. If I have maintenance issues, can I call a repairman and deduct the cost from my rent? Do not call a contractor on your own! You are not authorized to perform or contract for any repairs on the property. If you call a contractor and incur any bill or invoice for any repair on the property, you are doing so at your own cost. Neither Management nor the property owner will reimburse you for those costs. 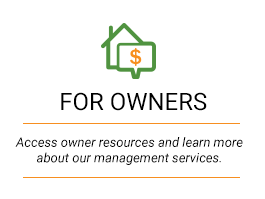 You must contact Management so that they can arrange for all repairs/maintenance on all systems, appliances, and the structure of the property. My child is over 18 years old and will be living with us. Does he/she need to apply as well? Each adult, 18 years or older, that will be living in the property must submit a complete application. Once I view the home, can I hold the home so that it is no longer available for anyone else? The only way to hold any property so that no one else may view it is to submit application, have the application be approved, and pay the Good Faith Deposit. Otherwise, we will continue to advertise the property so that other potential residents may view it. What forms of payment do you accept for rent? What guidelines do I need to meet in order to apply for a home? What documentation should I have ready to start the application process? Applications will not be processed until the payment and all required documentation is received. What happens to my application fee if I change my mind and don’t want the home I was applying for? The Good Faith Deposit IS NOT the Security Deposit. We will collect the Security Deposit from you at the time of the Lease closing. The entire Good Faith Deposit will be applied towards all amounts due at time of signing the lease. Certified funds are required for all initial monies, including the Good Faith Deposit, Security Deposit, any Pet Deposit, any Prorated Rent and the First Month’s Rent. The applicant agrees to sign Management’s Lease and take possession of the property. The applicant will be in default if they do not execute Management's standard Lease Agreement or refuse to occupy the property on the agreed upon date. In the event of default, Applicant acknowledges that Management shall keep the Good Faith Deposit as liquidated damages, which are compensation for holding the property off the market. Applicant agrees that the amount of lost rent in holding the property off the market is unknown and that this provision is intended as a good faith estimate of Landlord’s damages in the event of Applicant’s default. Each property has a different pet policy. Please contact McCreary Realty at 770-427-5711 to find out the pet policy for the specific property you are interested in. What type of homes do you manage? McCreary Realty Management manages single-family homes and fee-simple single family townhomes, condos, or duplexes. When can I expect to receive my security deposit back after I move? Will I receive a full refund of my deposit? -	All door keys and amenity keys, mailbox keys, access cards, gate openers, garage door openers, if any, have been returned to Management. When can I turn off my utilities? When is rent due? When is rent late? -	Rent is due on or before the first of each month. -	The first late fee will be charged at 9AM on the 6th of the month regardless of weekends, holidays, pay periods, or acts of God. -	All payments made after the 9th of the month must be in certified form. 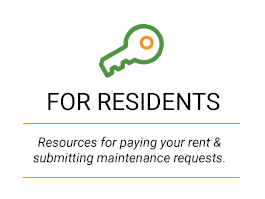 -	At 9AM on the 10th of the month, any resident with unpaid rent and charges still due, will have the 2nd late fee charged and the dispossessory proceedings filed against them. Where are your rental homes located? What areas do you cover?